Today's Social Saturday guest is Janet from Janet Mary Cobb. I met Janet through the April A to Z Challenge - it's the thing I love about doing the challenge each year - there's always someone new to discover. Janet has a really interesting life story that you can catch up on by reading about it on her guest post on Unfold and Begin - well worth a read after you leave here - it's not every day that you meet someone who used to be a nun and then reinvented herself several more times - and is still growing and evolving - she's such an inspiration to those who know her. I’ve always loved to cook. I began cooking in my tweens – and dreamt of owning a bakery, a food truck, or a restaurant. By 18, I was managing a retreat house kitchen – preparing meals for 80-100 women every weekend and studying food science and nutrition at college. I’ve taught vegetarian cooking and catered parties off and on through the years, and recently developed a vegan egg-substitute for baking that I considered bringing to market. For years, friends and acquaintances, after having dinner at my home, tried to convince me to open a restaurant or to write a cookbook. I have entertained the idea often, but something inside me resists. Apart from lacking the funding, I often wonder if it’s fear or lack of confidence in my abilities. Or a concern that I’d return to a stressed-out workaholic attitude. I finally realized that if I owned a restaurant or food product, cooking would become a burden because I don’t follow the rules and rarely measure. I don’t use recipes. I rarely make any food the same way twice. This creative approach to cooking wouldn’t work in a business setting. Cooking, especially baking, relies on basic science for measuring amounts, deciding ingredient combinations and temperatures, and projecting outcomes. 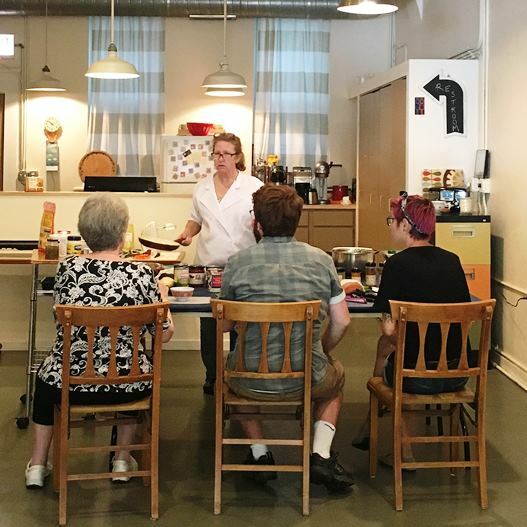 But cooking is also an artistic expression – relying on just the perfect amount of various colors, textures, shapes, sizes, smells, and flavors. Creating nutritious and delicious meals – and eating well when living alone, after the children have left home, or while enjoying the freedom of retirement can seem like it is ‘too much hassle’. Caring for our bodies is one aspect of holistic self-care – and what we put into our bodies makes a difference. But as much as I enjoy cooking and feel most at home in a kitchen, I find myself reaching for a quick bite rather than preparing a full meal. So – what I have on-hand to ‘grab’ matters. A few steps to make eating well easier – perhaps you can find something that works for you. Stocking a kitchen is like building a wardrobe. Fashion designers will tell you to buy articles of clothing that can be used with more than one other article. Never buy a pair of pants, shoes, or jacket that will only go with one shirt. Likewise, try not to buy a food item that is only used for one dish. If you absolutely must have the product for a recipe, be sure to develop many uses for it. Food works like that perfect accessory that will complement the office, a luncheon, or a romantic evening out. · Spices, herbs, seasonings, oils, wines and sauces allow you to turn the same vegetables and starches into completely different meals. Try to keep these ‘flavoring’ ingredients from a variety of cuisines: Italian, Chinese, Mexican, French, German, Mediterranean, etc. · Canned and packaged goods provide proteins, nutrients, and healthy starches. Whole grain pastas, beans, canned fish, sweet potatoes, etc. Having nutritious options on-hand makes it easy to reach for a quick snack or meal instead of choosing sweets and junk food. · Frozen fruits and veggies maintain nutrients longer than fresh and do not spoil as quickly. If you have a microwave – you can thaw them quickly if needed. 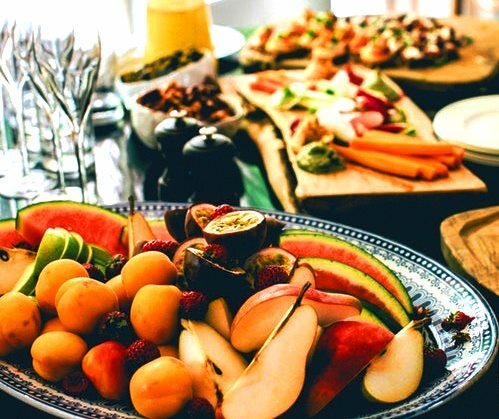 · Fresh fruits and veggies offer delicious varieties to engage your senses – crisp textures, sweet smells, and bright colors. My favorite shortcut is keeping a jar of store-bought chopped garlic in the refrigerator. 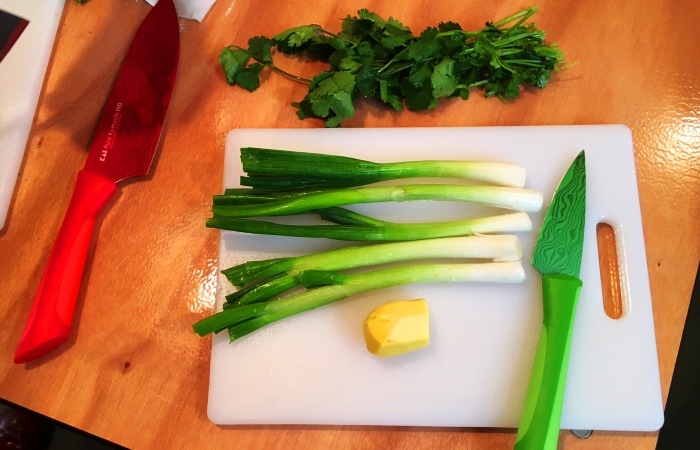 · Chop on Sunday (or a free day) – to prepare the onions, ginger, cilantro, celery, etc. that enhances the flavor and nutrition of a dish but often get left out when in a hurry. I store the chopped items in a covered chip/dip tray. · Use a crockpot so you aren’t tied to the kitchen – especially when weather is gorgeous and you’d rather be out and about. The rainbow has always been a sign of hope, a promise of better things to come – sun after rain, the pot of gold at the end. I find, remembering to shop the rainbow encourages eating well. When we have a grumpy, dreary rainy day, do we reinforce our struggle by eating the whites, grays and browns of pastas, breads, and meats that may not be the most nutritious choices. Or do we reach for the rainbow foods: bright reds, orange, yellow, green and purple that will ultimate help us feel better? The more rainbow options you have on hand, the easier it will be to make healthy choices. Perhaps you can share other methods or ideas that work for you? 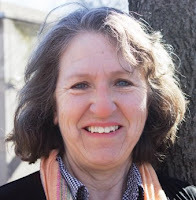 Janet is a strategy and fundraising coach to small nonprofits across the United States – helping hundreds of small to medium-sized organizations bring their vision to reality by bringing reality to their vision. She lives in Chicago with her husband as a semi-empty-nester because their children (ages 21, 19, 16) are away at school. She has published a children’s nonfiction book, Raising Butterflies to Set Them Free and a memoir of her years in the convent, Surviving Sanctity. I'm a bit the same these days Sue - I don't cook as much as I used to now that the nest is empty, and when I do it's just throwing together what I have in the pantry. My DIL has asked me a couple of times about a recipe and I tell her it's a 'squirt' of this etc and she is a little bemused. I don't think I'll follow Janet's advice about shadowing - the person would be bord to death with my cooking skills! Sue - perhaps a few of these ideas can be helpful for the post you're working on. I hope you got my reply on facebook. These few days since returning have been a bit hectic! Perhaps your SIL could shadow you in the kitchen some time. I had a student do that for a few weeks and write down everything I did! Janet it is an absolute pleasure having you here and learning about another aspect of your life - as I mentioned in my intro - you are truly inspirational! Thank you for your kind words Leanne! Oops - did I get your name wrong Donna? My apologies! Pat - I thought the 'wing it' approach to cooking might resonate with many. Are you still in Cincinnati? Hop, skip and a jump from Chicago. Perhaps we can do that dinner sooner than later! 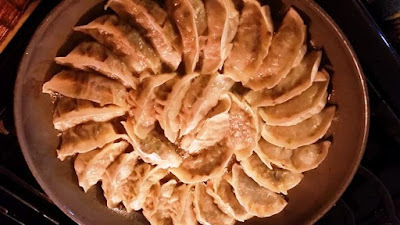 It shows how little I know about cooking - I'd never heard of pot stickers before and now Janet mentions "pescatarian" and I had to Google it - I am so far behind the eight ball with all this stuff! Potstickers I could probably provide a ballpark recipe for -- but have you ever thrown leftovers into soup? Add a little shrimp, noodles and Chinese greens. Yum! I use the slow cooker for the meat I prepare for others (I'm pescatarian) - not only tender but so easy to prep and go. Thanks for sharing your thoughts. 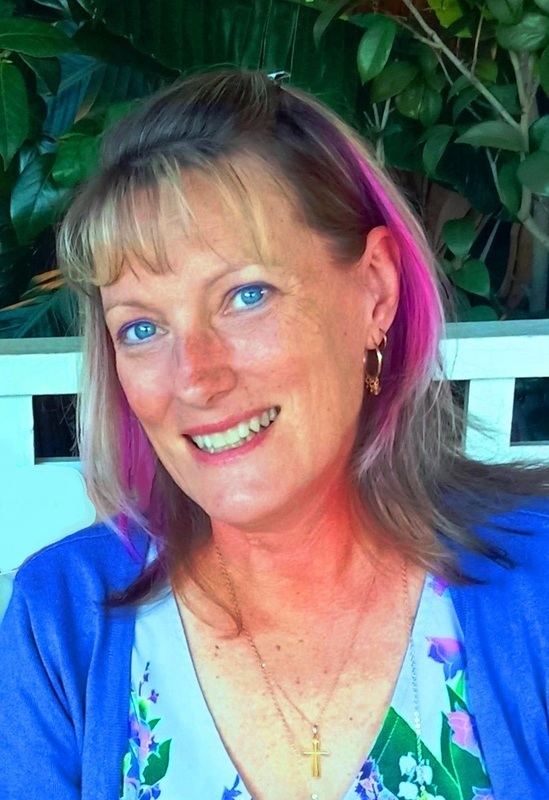 Kathy - I totally agree about being awestruck if we knew the details about others' lives, particularly because I find it amazing how the twists and turns seem to always redirect us to our true selves. Also, if you are ever in Chicago, let me know - I'll be happy to cook for you! Hi Kathy - she's pretty amazing isn't she? I love all the fabulous women I've met through blogging - the similarities and the differences because both inspire me to reach higher and become a better version of myself. 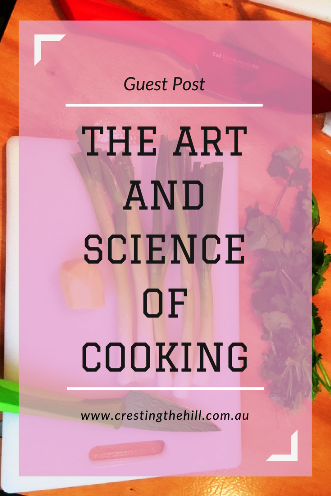 Maybe this post will inspire me to cook more too! Sue - thanks for stopping by and sharing your thoughts on food and cooking. Doesn't it feel so good to eat foods that help us feel GOOD? My sweet tooth often does me in, but I keep returning to the tried and true nutritious food....Do you have a favorite non-meat recipe that you'd like to share? I'm a fan of fresh cooking too Sue - I'm not the most imaginative soul, but I figure fresh meat and vegetables have to be a good start. I just wish I could figure out why I'm slowly getting heavier despite all my healthy eating??? Janet, I don't actually have a favourite non-meat recipe, because I'm not vegetarian or vegan. Our staple meals these days are meat and steamed vegetables, but I do also love roasting any kind of veg, and using herbs and spices for added flavour. Lately I've been enjoying roasted cauliflower with olive oil, turmeric, fresh parsley and salt - simple but delicious. I follow the Auto-immune Protocol (AIP) mostly. Having just returned from 2 weeks away, where it was difficult to stick with my usual food choices, I'm glad to be back in my own kitchen and eating "normally" again. Leanne, sadly I think our hormones have a lot to answer for when it comes to midlife weight and size!! But the other big culprit is sugar, from all my reading anyway, and I know that keeping sugar to a minimum is one of the keys for me to optimal health. Janet, you are amazing! Great list of suggestions for all of us - even people like me who follow recipes TO THE LETTER. Karen, I am so not surprised that you follow recipes to the letter - whatever works best for you! Delighted you found some of my suggestions helpful. Do you have a favorite non-meat recipe you'd like to share? Karen you do EVERYTHING so intentionally - I seem to do a lot of flying by the seat of my pants these days - blogging, cooking, reading.... I think it's my knee jerk reaction to being such a control freak all my life - I'm trying to add a little more imperfection into the mix! I've been keeping things pretty simple lately. Our store is a block away so I usually walk there and pick up what I need each day. It's a good excuse for exercise. I shop once a week for the bulk of our groceries Rebecca, but I think if the shops were a block away it would definitely make for a lovely daily activity - and you can't get much fresher than purchasing daily can you?! Rebecca - at this point I also keep things pretty simple. For the summer, I've tried to do much of my shopping for fresh foods via my bike as we have a store a few blocks down - also for the exercise. Can't do that so much in winter here though. Janet, like you, I love to cook. I find it to be a creative activity, and I like to please the people in my life by preparing delicious food for them. Also, I am interested in the health aspects of food and nutrition. Although I do not like to host large dinner parties so much anymore (because I tend to get carried away and cook way too many dishes, and then am too tired to enjoy the party), I still love to cook for people. The best way to create wonderful dishes is to start with fresh, high quality ingredients. I like to experiment, and am only careful to measure if it is a new unfamiliar recipe or cooking technique. Jude - sounds like you and I have another thing in common. I also don't host parties much anymore for a variety of reasons, but I've been toying with the idea of hosting a monthly gathering for a few friends beginning in the fall - time will tell. I'm a little bit envious of all the great Midlife cooks there are around here Jude - the thought of a dinner party these days gives me a case of the cold sweats! I'll stick to my plain and simple and hope nobody notices that I don't entertain anymore! Oh, my goodness. Cooking in terms I can understand! Thank you so much! Delighted you found it refreshing! Hi Leanne, I am not a great cook. I can just cook a few essential dishes that I would need to survive. But I can definitely say that cooking is a very creative activity, which gives one immense opportunities to experiment and discover newer ways of mixing different ingredients, in the pursuit of good taste. Hi Pradeep - I'm with you on being a pretty basic cook - I managed to feed my family quite well for 30 years, but Midlife has definitely got me paring back and taking the simple and fresh route these days. Pradeep - one need not cook exotic or fancy food to enjoy the creativity cooking involves. I certainly prefer good taste to fancy! Thanks for sharing your thoughts. Janet, I'm just re-entering the cooking space with our new house (and a kitchen I can cook in!). I got a few of those pre-packed cook-it meals (Blue Apron, etc) to get me back into the kitchen and it was helpful. They are expensive so not continuing, but I'm cooking again. I'm a bit like you and don't really follow recipes too much. I need to continue to explore using spices...I have a lot of them. I don't mind the chopping of things - I find it quite soothing. My challenge is always to have things come out on the right timing.... rice done when stir fry is done, etc. One tip I heard and am following now is to have fruit and veggies visible (if possible) on the counter. That makes me use them more for snacks and meals. No more rotting veggies in the back of the fridge. Leanne - thanks for sharing a new aspect of Janet with us! Patricia - isn't chopping therapeutic? I like visible fruits and veggies, but prefer them cool/cold. Remember spices lose flavor and potency with time -- have you heard of thespicehouse.com? It is a midwestern establishment but delivers. Yummy options! Try hickory and mesquite seasonings for salmon! I've really enjoyed seeing this side of Janet - it was such a lovely surprise and her post has generated some great discussions Pat - now I just have to lift my own game in the kitchen after being so inspired! I switched to a vegan diet last year. As a result, I've moved to doing batch cooking on the weekends, so I have food to eat throughout the week. It's a real commitment, but after a while I got into a groove. I'm still learning, but I'm becoming more confident about combining foods and making my own dishes and sauces. I love the pictures in your post - so healthy and yummy looking. I clicked through to your blog and saw your recent very ambitious road trip! I just returned from a trip to San Francisco and surrounds and recognized the area in some of your pictures. We were probably there around the same time. I hope you had fun. I love to cook though I always follow a recipe no inventing on my side. I don't cook as much as I use to since husbands appetite isn't what it used to be but every once in awhile I will whip something up. Victoria - I totally understand about cooking less when others have gone or have little appetite. I encourage you, though, to consider treating yourself to a lovely meal. This is one of the toughest things for me - I'd rather just grab a quick and easy - but that's when I eat processed, high carb, high calorie foods. Thanks for stopping by and joining the conversation.